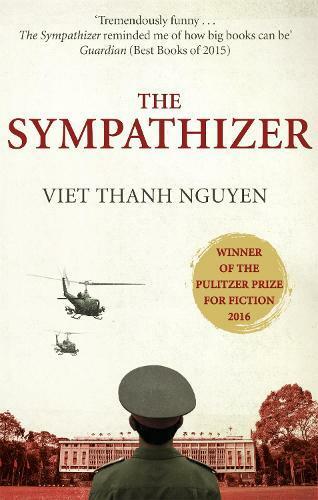 The Sympathizer is the story of this captain: a man brought up by an absent French father and a poor Vietnamese mother, a man who went to university in America, but returned to Vietnam to fight for the Communist cause. The Sympathizer is the debut novel from Professor Viet Thanh Nguyen. Told through the recollections of an un-named communist spy, who doubles as a trusted lieutenant to a South Vietnamese General, it casts a wide net and a new, Vietnamese perspective over a war that has been largely mythologised and romanticised in American storytelling. The narrator, an American-schooled, half-Vietnamese soldier, recalls a story of war, betrayal and love in a confession to his captor, the phantom entity known only as ‘Commandant’. He begins at the fall of Saigon, where the General’s compound is being evacuated, and the lieutenant is charged with making a list of family and staff who will be rescued and relocated to the United States. He manages to secure places for his closest friends, his ‘blood brothers’ Man and Bon, who he is also spying on. From the dangers and deaths of Viet warzone, the story shifts to a rather charming, espionage farce in Los Angeles. Nguyen then takes us to Hollywood, where the lieutenant meets ‘the Director’, a stand-in for Francis Ford Coppola, who has recruited him to consult on a Vietnam War epic that vaguely resembles the film Apocalypse Now. Though doubly, or triply, engaged in the mythology of the revolution, the narrator must ultimately atone for his infidelities and watch his loved ones pay the price for his treachery. Nguyen’s fresh perspective on America (he arrived in the United States in the mid-1970s as a Vietnamese refugee) reads –marvellously! – as European; his style a combination of Graham Greene’s Our Man in Havana, but with a tragic, Camus-like existentialism bled out in its confessional framework to a Nabokovian rhythm. Nguyen also stirs much of his dialogue into his prose, so it reads like a glass of wine, betraying the rigidity common to much historical fiction. One of the best books I’ve read this year.